E.L.L. Practice + Prompt | Chinese New Year is my student interactive for The New York Times Learning Network. Students watch a video, read a passage, choose the correct meanings for several words, and then respond to a writing prompt about their own new year traditions. Many of the links in this “The Best…” list are also included in The Best Sites For Learning About New Year Celebrations. I just thought it would be helpful to teachers and others to put all of the Chinese New Year ones in its own separate list, too. It makes it a little more simple for my students when we have a lesson on the holiday. You can see a schedule of when the New Year begins in every year here. You might also be interested in The Best Sites For Learning About China. The History Channel has an excellent site on the Chinese New Year. Send a Chinese New Year’s eCard from American Greetings. You can post links to student-created cards on teacher/student webpages. Chinese New Year Resources From Topmarks has a number of accessible materials available. Apples 4 The Teacher has a nice interactive that students can use to learn what animal is influencing their life because of the year you were born. EL Civics has developed a Chinese New Year Lesson specifically for English Language Learners. A New York Times slideshow and a video on the Chinese New Year celebration. TIME Magazine also has a Chinese New Year slideshow. Ushering In The Year Of The Ox is a slideshow from Radio Free Asia. ESL Holiday Lessons has an online lesson on the holiday designed for English Language Learners. Chinese New Year is the simple title of a variety of listening exercises from ELLO. The Great Race is an accessible talking story from the British Council. Chinese New Year Photos comes from CBS News. Year Of The Tiger is a slideshow from Reuters. The Orange County Register has a slideshow of an elementary school celebration of the Year of the Tiger. Year of the tiger: Chinese lunar new year celebrations around the world in pictures is from The Telegraph. Welcoming the Year of the Tiger is from the Boston Globe’s Big Picture. Here’s a Chinese New Year game for English Language Learners. Chinese New Year 2011 is from The Big Picture. The Atlantic has some great pictures. The Year Of The Dragon is a TIME slideshow. In pictures: Chinese New Year is from The BBC. Chinese New Year Celebrations in Los Angeles is a slideshow from the L.A. Times. Year of the Dragon is a slideshow from The LA Times. Lunar New Year 2012 is a Boston Globe slideshow. Chinese Lunar New Year 2012 is a photo gallery from The Atlantic. Lantern Festival is an L.A. Times slideshow. Incredible ice houses at Chinese Lantern Festival is a CBS News slideshow. Chinese New Year Songs comes from Top Marks. 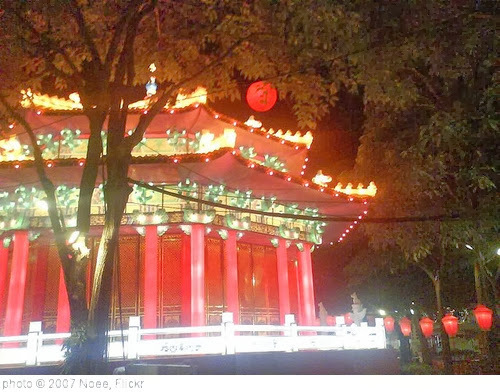 The Chinese New Year starts is a series of lesson plans from Read Write Think. Chinese Lunar New Year 2013: Year of the Snake is an ABC News slideshow. In pictures: Lunar New Year celebrations is from The BBC. Chinese Year of Snake celebrations in Asia is an article with videos from The BBC. Year Of The Snake 2013: Chinese Celebrate Lunar New Year (PHOTOS) (VIDEO) is from The Huffington Post. Chinese New Year 2013: Spectacular Images of Celebrations of Snake Year from around the World [PHOTOS] is from the International Business Times. China’s ‘Snake Village’ seeks New Year riches is from News.com in Australia. Chinese Lunar New Year 2013 is an Atlantic photo gallery. Chinatown Revisited is from The New York Times. How to Teach Chinese New Year is from The Guardian. The Year of the Horse: Chinese New Year Celebrations Around the World is a slideshow from TIME. Happy Chinese New Year 2014 is a slideshow from Atlantic. Chinese New Year is an info website from the BBC. In pictures: Chinese New Year around the world is from The BBC. ‘Still Turning Heads’ At Lunar New Year, An All-Female Lion Dance Troupe is from NPR. Chinese New Year Songs is from Top Marks. Chinese New Year is a lesson for ELLs from the British Council. Here’s a lesson on Festivals from the British Council. Chinese New Year is celebrated for the 1st time in Glasgow are some fun photos from Getty Images. Vietnamese Rice Cakes Mark Lunar New Year, Teach Traditions is from NBC News. New Lunar New Year Stamp Draws Inspiration from ‘Pioneer in the Hawaii Design Industry’ is from NBC News. Connecting Generations: At Lunar New Year Festival, Cultural Village Brings Together Young and Old is from NBC News. Getty Images has some nice photos of the Year of the Monkey. A Colorful Look Behind Chinese New Year Celebrations is from Week. Lunar New Year 2016: Facts, Dates, And Ancient Traditions is from The Huffington Post. Chinese New Year traditions: a brief guide is from Vox. New Year of the Rooster Stamp to Make Its Debut in Seattle Ceremony is from NBC News. 10 Lunar New Year Facts to Help Answer Your Pressing Questions is from NBC News. Eight ways to celebrate Chinese New Year in your school is from The British Council. Chinese Lunar New Year: Year of the Rooster is a photo gallery from Al Jazeera. Why do we light firecrackers and give out red envelopes for the Lunar New Year? is from TED-Ed. Year of the Pig Education Pack is from The British Council. Chinese Lunar New Year 2019 is a photo gallery from The Atlantic. Chinese New Year 2019: a brief guide is from Vox. PreviousMr. Nussbaum Is Back Up! Thanks for a great post! Just wanted to add our Chinese New Year children’s booklist from Colorin Colorado!